It's not easy being John Jacoqis. 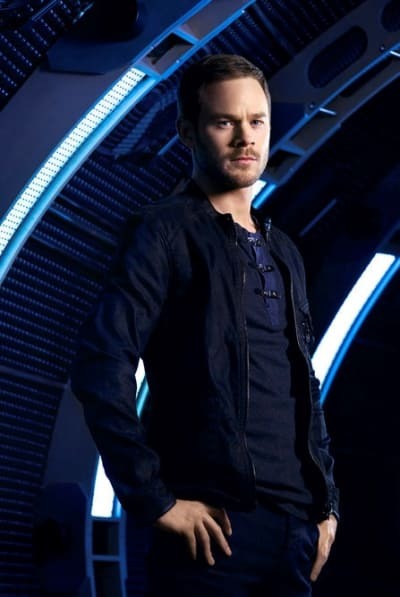 As Aaron Ashmore, who plays the lighthearted character, explains, John continues to evolve during Killjoys Season 4. He's now the senior nerd to the socially inept Zephyr. Also, a darker side of John will peek through, at least for a while. 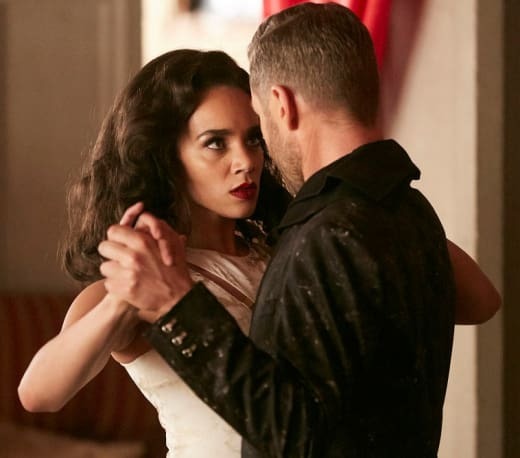 In a wide-ranging interview from Toronto, where Killjoys Season 5 is now being filmed, Ashmore talked about the many facets of Johnny, what the Killjoys will be facing during Killjoys Season 4 and the series' end on the horizon. Johnny is the brains of this Killjoys team. How does he feel about having to make some of his teammates' more outlandish plans work? I think he thrives on that. I think he likes the challenge. That's his role on the team, and I think he fulfills it well. All in all, I think he enjoys having to execute all these crazy plans. Johnny is cool in a way that most nerds can only aspire to. How did he gain such confidence? Well, I think his confidence has sort of built over the years when he found his place on this team. I wouldn't say that he's always been that confident. I think finding his role, being the tech guy and Da'vin and Dutch so reliant on him and being so respectful of what he can do; I think that's what caused it. When you're put in difficult situations and step up to the task, I think that confidence builds there. Over the years, we've seen that John can be slightly insecure. I think when Zeph came into the team in Season 3, he felt a bit threatened about his role on the team. Even when D'avin joined the team at the very beginning of the show, I think his confidence was a little rattled about how he fits into the bigger picture. I think his team lets him know that he's needed and does a good job, and that creates that confidence. Speaking of nerds, how will Johnny's relationship with Zephyr evolve this season? I think they've found a really good way to work together. Zeph is more in tune with the biological elements that are happening on the show, and John is more the technology guy. So I think they each have their own fortes. I think that Zeph has proven herself to be reliable and a team player and they start to get along very, very well. But Zeph is a strange character, one of a kind, so there's always going to be awkwardness in figuring things out. But they are getting along. Johnny will always be the little brother on the team, both to Da'vin and Dutch. Does he get all the credit he should? On a show like ours, which is very action driven, Dutch and D'av take the lead in those roles. They're the fighters, the badasses, more so than anything else. I think D'av and Dutch definitely respect John. I think we've seen over the years when John isn't around to do what John does; they're up a creek without a paddle. So the team respects him. Da'vin and Dutch have a chemistry together. How does Johnny handle that? I think in the beginning it was difficult because he wasn't sure how he was going to fit into this team. But now that's all settled; we're definitely solid together. I think John's totally fine with it. In a lot of ways, who would you rather your best friend be with, your brother, why not? He is totally fine with that dynamic, that chemistry. Johnny was left adrift at the end of last season, both literally and figuratively, with Dutch and Aneela going into the Green after the Lady. Speak to the changes that happen to Johnny early in the season. This is a really interesting start going into Season 4. We don't pick up exactly where the cliffhanger left off. It will be sort of surprising for people. We get to see a little bit more of the history of some of our characters and go into the past. This little reprieve sort of sets up Season 4. Then we jump into where we left off. We do see a darker side of John in the first couple of episodes, and that will be very, very entertaining. He transitions for the rest of the season to support Dutch and support the rest of the team, who work together to try and stop the Lady, who is breathing down our necks. How long will it take for the team to get back together? Within the first few episodes. It's not too much of a cliffhanger keeping us apart before they do get us back together. Our team is at its best when it's together, and I think the writers know that too. Can you give us a broad overview of Season 4? Season 4 is about getting the team back together, rescuing Dutch, or Dutch rescuing herself, which is more the case, and figuring out who the Lady is, what she wants and how to stop her. And none of those things is an easy task. 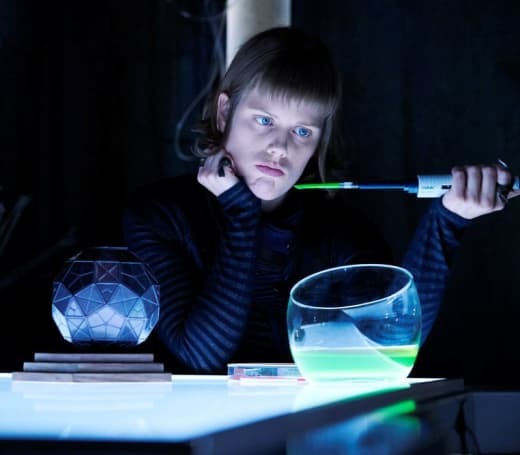 How have you enjoyed being on a popular science-fiction show? I've absolutely loved it. I'm really sad we're coming to an end. We're just shooting the first two episodes of Season 5 now. But all good things come to an end. We all feel very fortunate to have gotten five seasons out of it. Now the writers can wrap it up and give it the ending it deserves. I've thoroughly enjoyed the process. I've loved the creative team on the show, I love my fellow castmates, and the world that we've created together, I'm a fan of it myself. So it's been a really great process. Have you had any interesting encounters with Killjoys fans out in public? No, not really. The only places I bump into people who recognize the show are at the mall or the movie theater. Those are the only two places I get recognized. Everyone's super supportive. My experiences have been really positive. Whenever people come up to me, they're really respectful and just enjoy the show. But nothing really crazy. 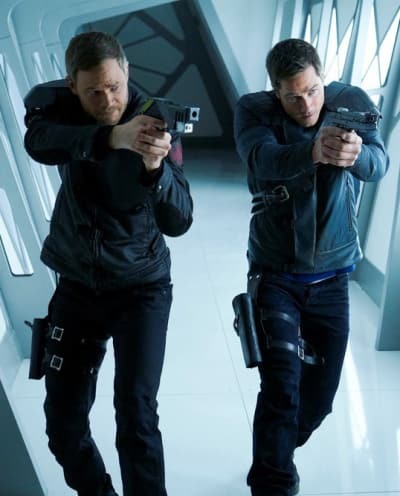 Killjoys Season 4 premieres at 10/9c Friday, July 20, on Syfy.